pain relief into levels of extraordinary vitality! There’s an amazing healing ability in your body just waiting to be activated! At Los Altos Family Chiropractic, we see miracles happen every day with the help of chiropractic care. Dr. Deborah Mosca, Chiropractor Los Altos, is an extraordinarily caring and reputable professional. 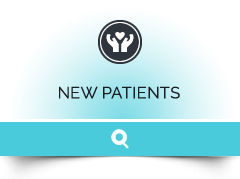 She is laser-focused on providing the highest quality patient care in a loving, personal environment. would be honored to be your partner in health for all the changing phases in your life! Dr. Mosca’s practice is like no other I’ve experienced–extremely skilled, compassionate, intuitive and personalized. I receive the care I need when I need it, and without being rushed. Dr. Deb and team help my body function better overall, help me manage stress and stay focused. Dr. Deb helped me through 3 difficult pregnancies including a twin pregnancy in which I was on bedrest for the majority of the time. I delivered all four boys vaginally thanks to that straight glide path. Dr. Deb has made a material difference in my family’s life, and I am so grateful to have found her! Deb has cared for my sons since they were very small. In fact, she adjusted James as an infant. The boys are elite athletes who have benefited from both maintenance and injury treatment. Los Altos Family Chiropractic has played a critical role in their upbringing. In seventh grade during my PE class a specialist came to check all our spines. To my surprise she told me I should ask my mom to find a chiropractor because my spine had a curvature. I’m so glad we found Dr. Deb. She was kind, gentle and able to explain things to me in a way that I understood.